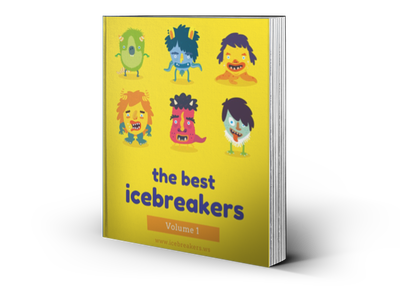 The Bests - Icebreakers, Icebreaker Ideas, Games, Activities! Perhaps you have seen those TV game shows where two team of friends or family members nominate people in their team to participate in a number of challenges. If you have ever thought it would be fun to try that out, The Bests is the game for you. What sort of skills will you be tested in? How about the longest stare? The quickest at looking up words in a dictionary? The fastest at walking backwards? Yes, this is a quirky game of unusual challenges. From the list of many challenge suggestions below there will be something for everyone, and even if you team loses, the pure silliness of it all will still keep things fun. This makes The Bests equally excellent for a laugh among friends, or to break the ice around strangers. This game works best with groups of 8 to 20 players of any age. For extra large groups, choose a smaller group of volunteers to play at the front of the room while everyone else watches. As the organizer (who will not be playing) gather some or all of these items: paper cups (six or more), a dictionary, a coin, a tape measure, chewing gum, a tennis ball, and/or a stopwatch. Check the list of challenges below to find out how you will be using this strange assortment of items! You can also come up with your own challenges, and if so make sure to get hold of any equipment you will need. Also get a pen and paper to record the results. Randomly put players into groups of four or five. The organizer should start each round by announcing the first part of the name of the challenge. For example, he or she could say “The measurement..” but don’t announce what is being measured quite yet! For example, for “The Fastest Cup Stacker" round, simply announce that this round is for “The Fastest." Each team now puts forward one of their players to compete in the round, who they believe will be “The Fastest…” though they don’t yet know what they need to be the fastest at! Every player needs to be picked once before anyone is chosen to participate in a second round. When you have a player from each team for this round, reveal the full title of the round and explain how to play. Give all players the equipment they need, and, if needed, tell them when to start. Meanwhile, you should referee the round to determine who wins. The winner of the round gets one point for their team. When all challenges have been completed, read out the scoreboard in reverse order, finally announcing the winning team. Then break out the champagne! The quickest… at finding a particular word in the dictionary. The fastest… at walking backwards. The longest… time you get a coin to spin with one touch. The strongest… at speed arithmetic (ask 10 math questions, and the team who gives the fastest correct answers most often wins the point). The best endurance… in a staring contest. The shortest… time it takes to sing the Alphabet song. The widest… bubble blown with bubble gum. The greatest… at stacking paper cups (they must stack a pyramid of 6 cups, then put all the cups together again, in the shortest amount of time). The tallest… throw with a ball that is caught (both players have a chance to throw the ball into the air and try to catch it — the highest throw that is also caught wins). … and feel free to make up your own crazy rounds, too!